The bios for these coaches are available in the Coaching Staff section of the website. 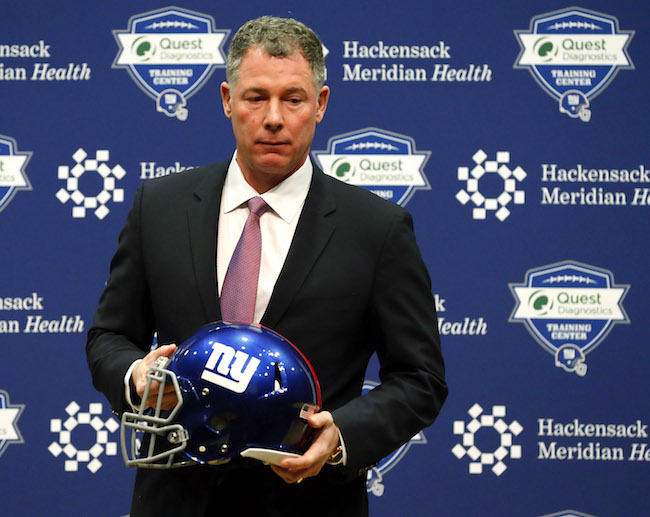 “We’re thrilled to announce our coaches,” Shurmur said. “They’re all excellent people, career coaches, guys who have had success in the profession developing players. We’re excited to have them here at the New York Giants. Some of the coaches I have a history with, some were on previous staffs here, and other coaches are guys I’ve known through the profession. I took a good look at some of the coaches that were here, and we certainly wanted to make sure that some of the really fine coaches that were in the building a year ago had an opportunity to stay. In the team’s press release, the Giants stated that Shurmur will call the plays while Shula will play a primary role in devising game plans as well as working with the quarterbacks. 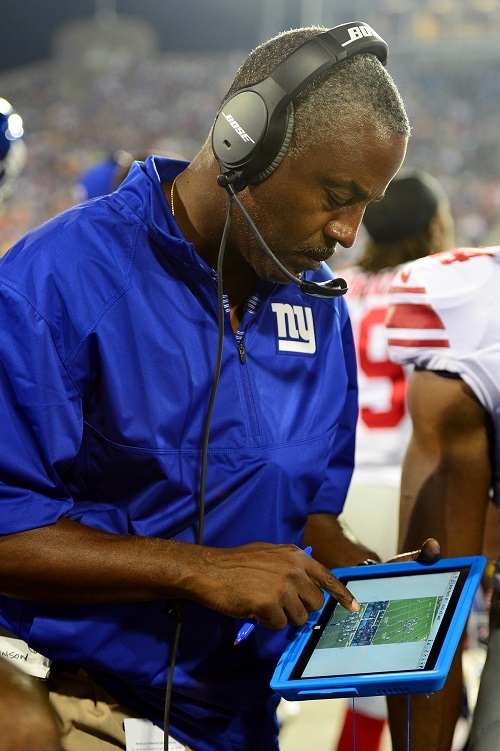 Multiple media sources are reporting that the New York Giants have retained Running Backs Coach Craig Johnson, who has been with the Giants in that position since 2014. Multiple media sources are also reporting that the Giants will retain their strength and conditioning staff. The Giants are not interested in unrestricted free agent running back Adrian Peterson (Minnesota Vikings). Not only is the team interested in retaining defensive end Jason Pierre-Paul (franchise player), but it is working hard to re-sign unrestricted free agent defensive tackle Johnathan Hankins. 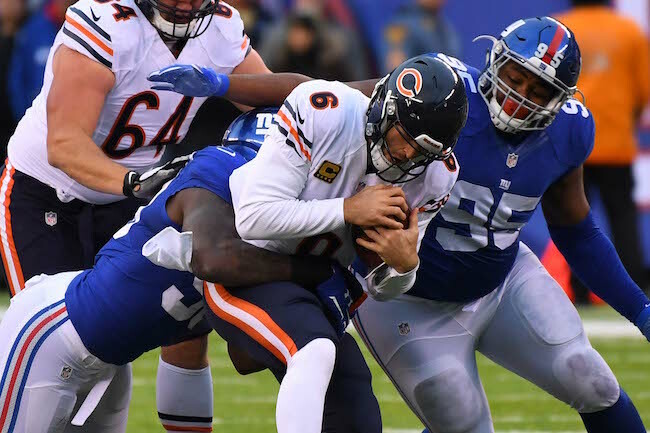 The Giants have also had talks to re-sign unrestricted free agents linebacker Keenan Robinson, right guard John Jerry, quarterback Josh Johnson, and cornerback Coty Sensabaugh. The Giants are pushing for a long-term deal with Pierre-Paul before free agency begins in order to reduce Pierre-Paul’s current $16.9 million 2017 franchise-player cap hit. The Giants are unlikely to match the $10 million-per-year contract that Hankins is expected to receive on the open market. The Giants are expected to tender restricted free agent defensive end Kerry Wynn at the lowest tender level, which will allow the team to match any offer from another team if they choose to do so. For a listing of the team’s free agents, see the 2017 Free Agency Scorecard section of the website. The New York Giants officially announced on Friday that they have promoted Rob Leonard to assistant defensive line coach. That position had been held by Jeff Zgonina, who was hired by the San Francisco 49ers as their new defensive line coach last month. Leonard has served as a defensive assistant with the Giants since 2013. To fill Leonard’s old coaching position, the Giants hired Bobby Blick to be the team’s new defensive assistant. The Giants also have hired Pratik Patel as Director of Performance Nutrition/Assistant Strength and Conditioning Coach. Blick served as Army’s director of player personnel in 2016. Patel was the University of Oregon’s sports nutrition coach since October 2014. Fuller information on their bios is available in the Coaching Staff section of the website. The video of a Giants Insider Q&A with Vice President of Player Evaluation Marc Ross is available at Giants.com.